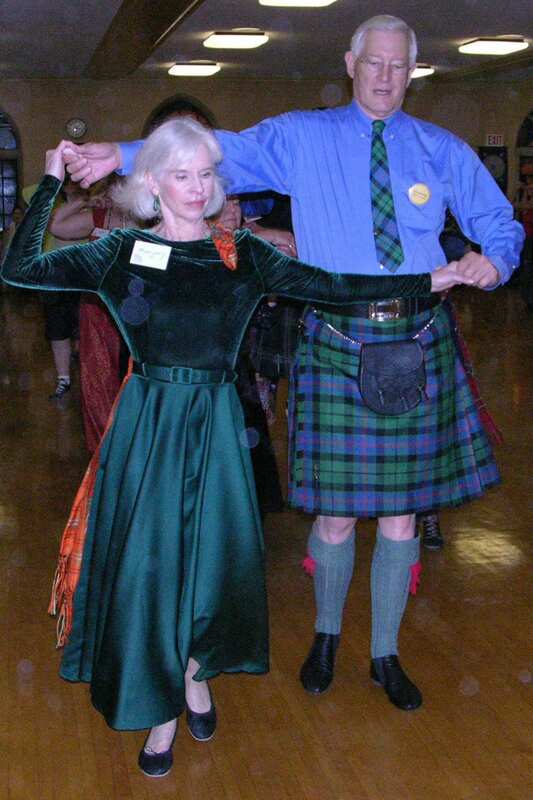 Scottish Country Dancing has been on his calendar for over thirty years. Dudley Morrison, an active Springmoor Resident, continues to learn new dances, steps and figures every week. Before he goes to his next class or an event, he receives a list of dances that each participant needs to know. Keeping up with the choreography is a must for each of the eight to ten dancers in the group. Turn by right, cast two places, turn by the left to face first corner. And so goes the dance. Dudley’s family has traced their ancestors back to Scotland but it was his late wife, Victoria, who introduced him to Scottish Country Dancing. She suggested they take a class when they moved from Chicago to Raleigh thirty-three years ago. With her ballet training, she was a quick study. Dudley had to work a little harder to understand the language, the positions and follow the figures. With his Scottish kilt and ghillies (a soft dance shoe), he has almost mastered the art of Scottish Country Dancing. He says it’s a lot like golf, “You can’t ever be perfect but you keep trying.” It’s a mind-body exercise that he says keeps him young. There are quick time Jigs and Reels and slow dance Airs and Strathspeys. A fiddle and sometimes a piano or accordion provide the music. There are over 6,000 dances and more being written today. Dudley says the best part is, if you were to go to Japan or Canada, the steps and the music would be the same. You can walk into a class anywhere in the world and know what to do next. The precision is important. That’s what makes Scottish dancing unique. Dudley’s kilt is a Morrison Scots Clan plaid. He wears his to a formal ball with a tuxedo style shirt and jacket known as a Prince Charlie. A dance is more casual and the men wear kilts and white shirts. Women are typically in white dresses for the formal dances. He and Marjory, a fellow dancer, both wear a Morrison sash. Hers is the ancient color way, officially registered as a Morrison Tartan. Dudley’s is also the ancient color way, representing the vegetable dyes of the century and a spinoff of the black watch tartan. The men and women have equal parts in a Scottish Country Dance. In groups of four couples, there may be a few whispers of directions but mostly everyone is silently counting bars so that they arrive at each place neither early or late. Teamwork is important. Couples can be partners but it is typical to be paired with a different partner for each dance. 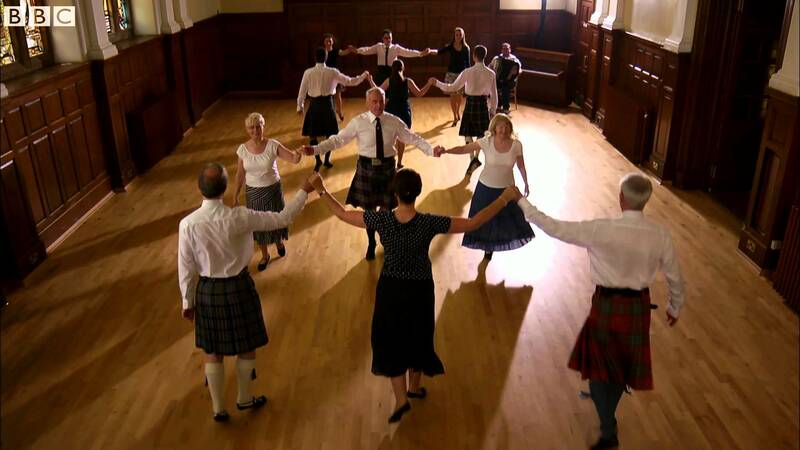 This makes Scottish dancing a great way for singles to join in the group. 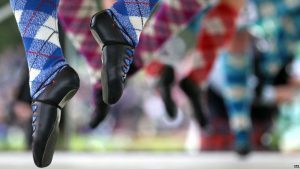 Their certificated dance instructors, Barbara, Eilean and Pam, teach at Triangle Dance Studio in Durham. Dudley and Marjory look forward to their weekly classes and seasonal events. The Valentine Tea Dance is their next event and both are watching YouTube videos to learn the scheduled dances. Aerial videos, he says, are the best to watch in preparation for the event. He has a list of sixteen dances to prepare for in the next few weeks. Dancing is once a week. Traveling the world has been a passion too. He has been everywhere and now is content to stay closer to home. 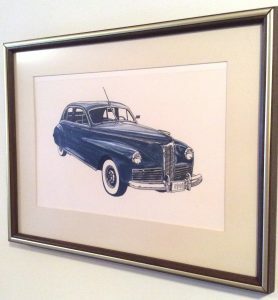 The photos on the wall and the art on his bookshelves in his Springmoor apartment will tell you he likes cars. 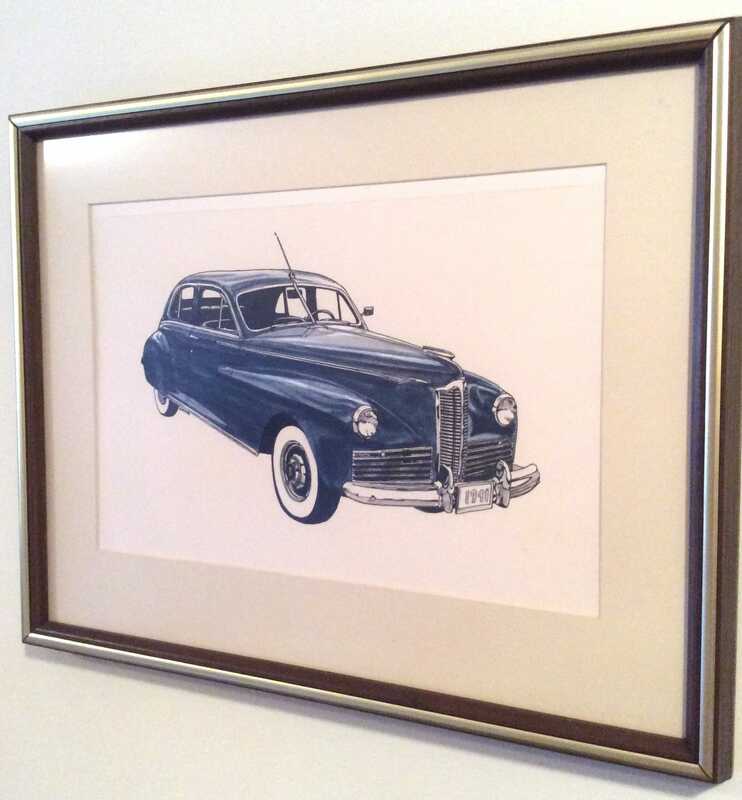 The passion for cars started when he was a living in Charleston, West Virginia. He thinks he was may have been ten or twelve years old. He remembers touching the tire hubcaps of a parked car as he walked down the sidewalk like you would reach out to pet a dog. 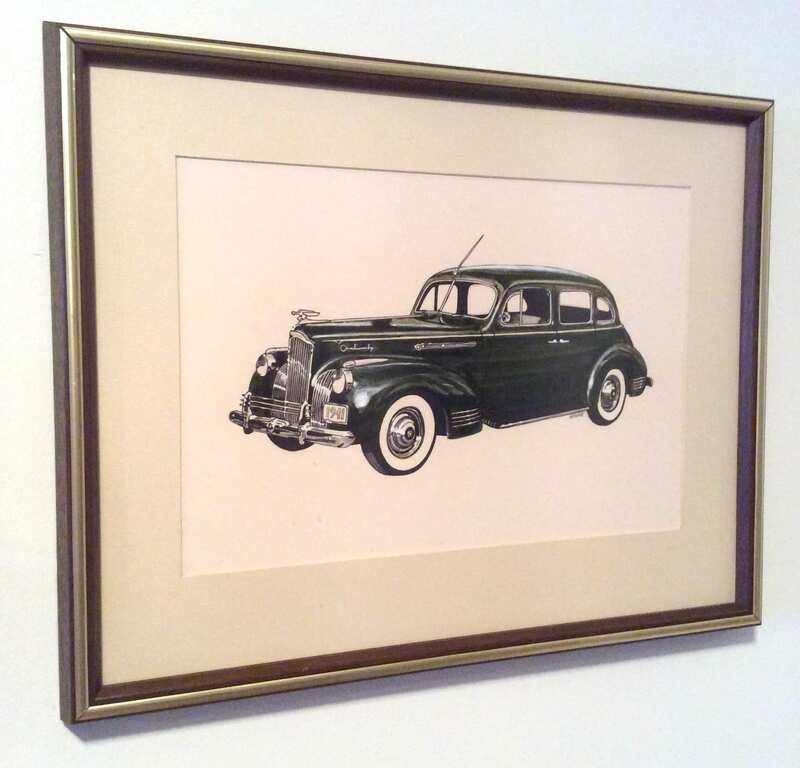 Dudley says, “Cars can take you places.” In addition to his everyday car, he has two in storage now: a 1988 Lincoln and a 1982 Volvo Wagon. Neither are collector’s cars. He keeps them for the memories. Fifteen years ago, with two friends, he packed up the Lincoln and took a 7,000-mile trip out west spending $1,000 on gas. Best trip he’s ever had, he says! The three travelers saw everything from their comfortable roomy ride. The Volvo has 335,000 miles on it. It was Victoria’s car and took them many places. It’s a keepsake filled with memories. 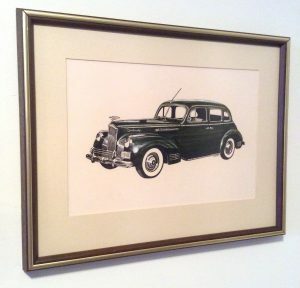 He has photographs of all of his cars: a ‘47 Studebaker, a ‘50 Chrysler Imperial, a ‘53 Packard, a ‘56 Packard, a ‘59 Mercedes Benz, a ‘61 Rambler Ambassador Custom, a ‘68 Chrysler Imperial, a ‘76 Dodge Aspen Station Wagon, and a ‘81 Chrysler New Yorker, hanging throughout his beautiful home. And each one has a story or two attached to them. His week includes choir practice also. Music has always been important. He tried the piano when he was young but found that reading music and keeping the right hand and the left hand moving in different directions was not his talent. Keeping his feet moving to the Scottish rhythms has been easier. He finds singing in the church choir a way to fill his love of music. He has volunteered for many years in leadership roles as well. The Scottish Clan has a passionate student exploring dance, music and cars. Dudley Morrison will continue to learn new steps and travel to new places to keep his mind and body young. 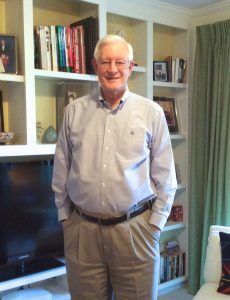 Though his knees may not be as good as they once were, he is learning to keep up with the jigs and reels by using the soft shoe in time to the music.